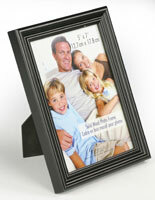 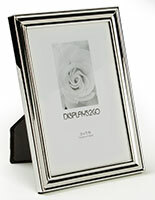 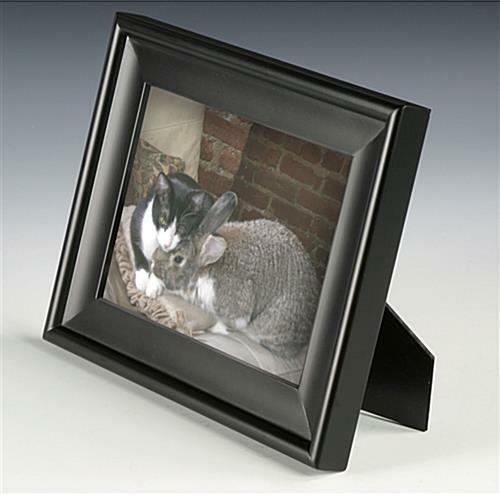 These black wood photo holders are manufactured of solid wood and hold 4" x 6" inserts. 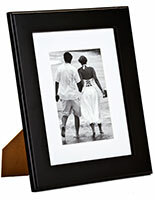 Their modern matte finish adds an upscale look to any living room or office. 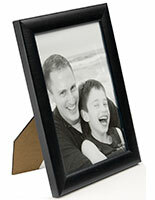 The wood photo holders are great for displaying school or wedding pictures and make ideal gifts for family events. 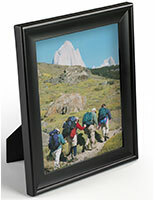 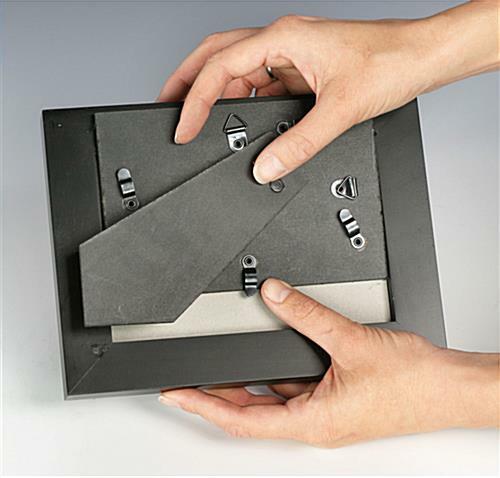 The frames make it easy to add and replace prints by releasing the easel backing and simply sliding the clips. 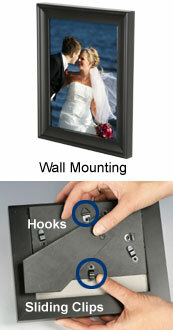 The photo holders' clear glass faceplate will protect their contents from dust and moisture. 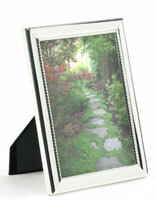 The stands can be oriented vertically or horizontally, either on a table surface or on a wall.